During IMEX 2014 Global Cynergies, in conjunction with the Sheraton Frankfurt Airport Hotel Conference Center, conducted a toy drive for “Kinderheim Rödelheim”, an emergency and transitional home for children coming from extreme situations. The home provides both physical and psychological care for children aged 1-12 years old in a positive environment. 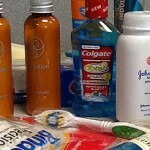 Starting in 2014 we are collecting toiletries – which we will donate to local charities in Phoenix. 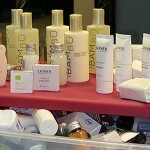 We are asking any suppliers that visit our office to bring in toiletries like hotel soaps, shampoos, conditioners, etc. 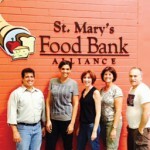 Your support will help us MEET NEEDS in our local community! As a part of our Five-Year Celebration, Global Cynergies supported AVOI (Association of Hospital Volunteers), a non-profit association whose volunteers aim is to care for children with cancer who are in the maternity Hospital (Materno Infantil in Málaga). 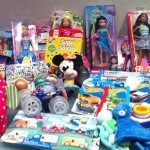 In support of this charity we collected toys. 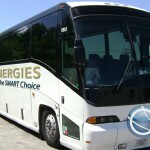 Please visit www.avoi.es for information.